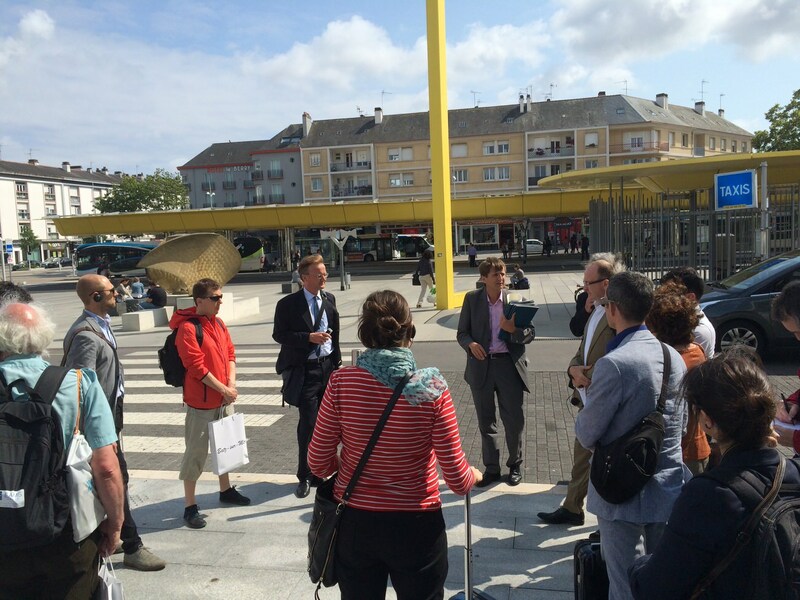 A huge thank you to our French partners at Région Pays de la Loire for organising an action-packed two-day schedule of Citizens‘ Rail site visits and meetings last week. 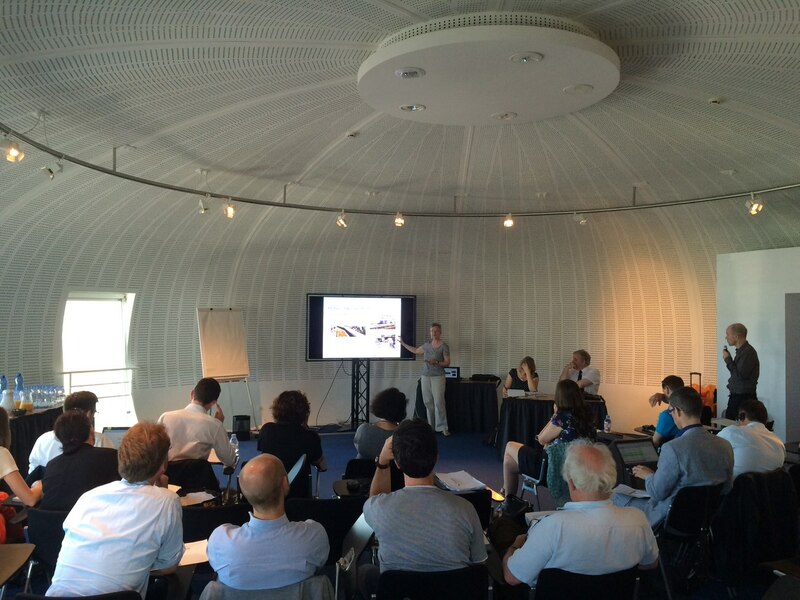 The transnational partner meeting was attended by German, UK and French representatives on Wednesday 8th and Thursday 9th July. 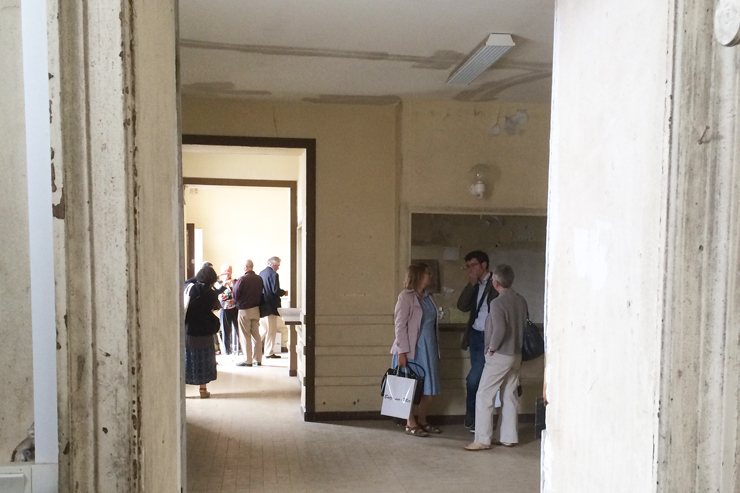 We began by visiting the coastal town of Batz-sur-Mer for an informative question and answer session, hearing first hand about projects at Batz-sur-Mer, Boussay and Ingrandes to find new uses for disused station buildings. 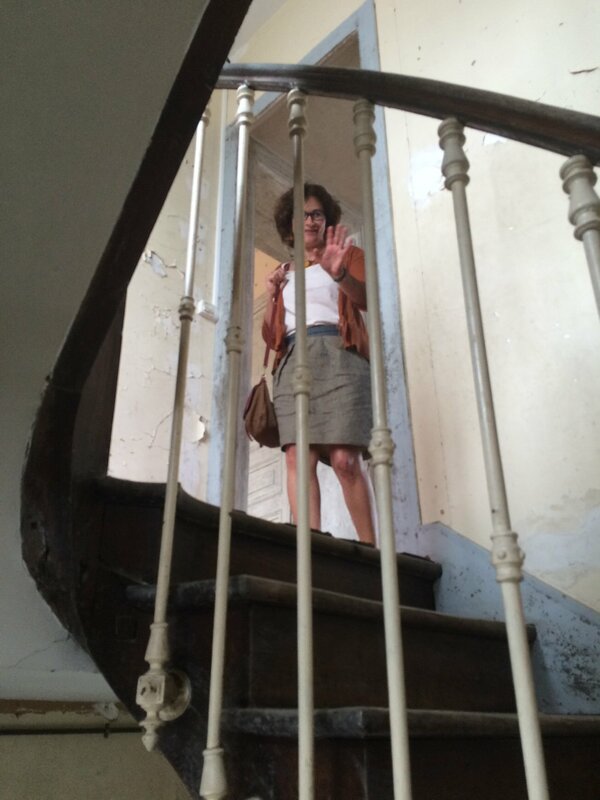 This was followed by a site visit to explore the building at Batz-sur-Mer, which will be revamped and re-opened as a base for two charities. 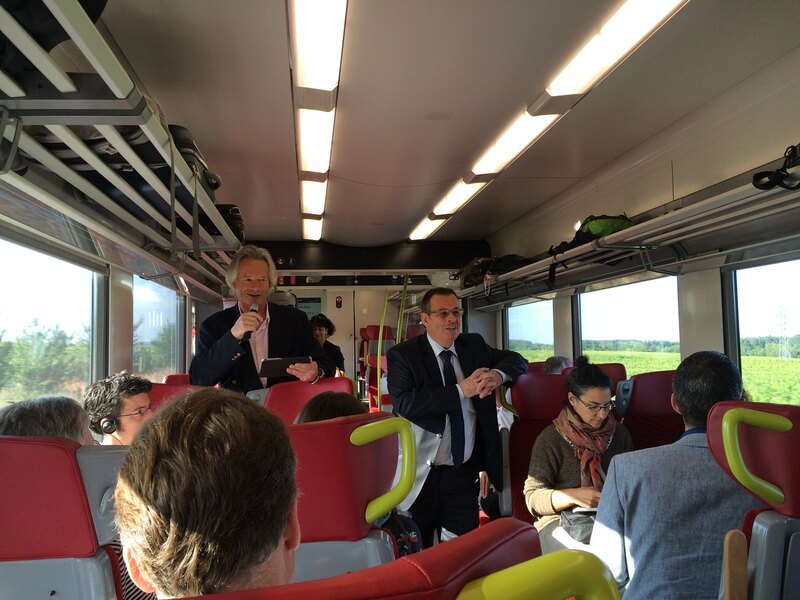 The following day, the partners were excited to travel on the hugely successful Beach Train, a package of additional services and eye-catching marketing that has helped to revitalise a previously struggling line between Bressuire and Les Sables D’Olonne. We were joined by Gilles Bontemps, Pays de la Loire’s Vice-President for Transport (pictured below, right). 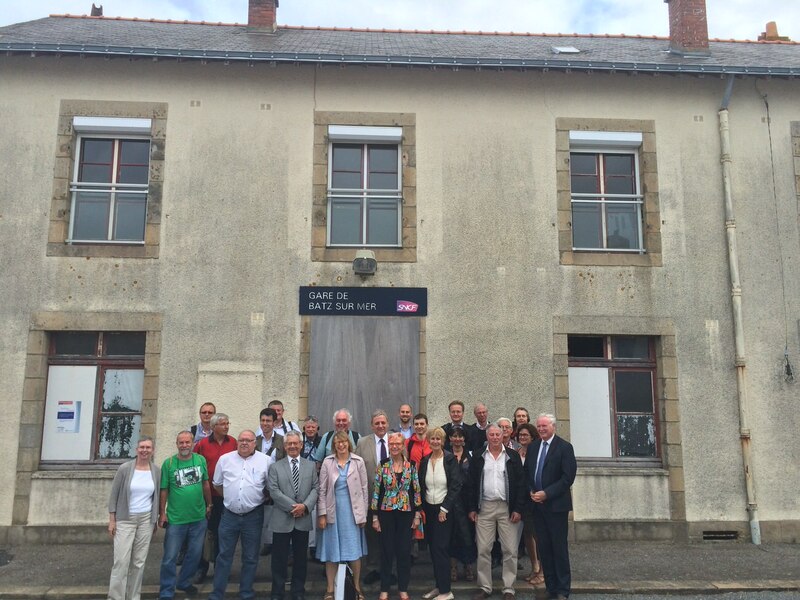 The trip was accompanied by a commentary about the history of the area, organised by Région Pays de la Loire. 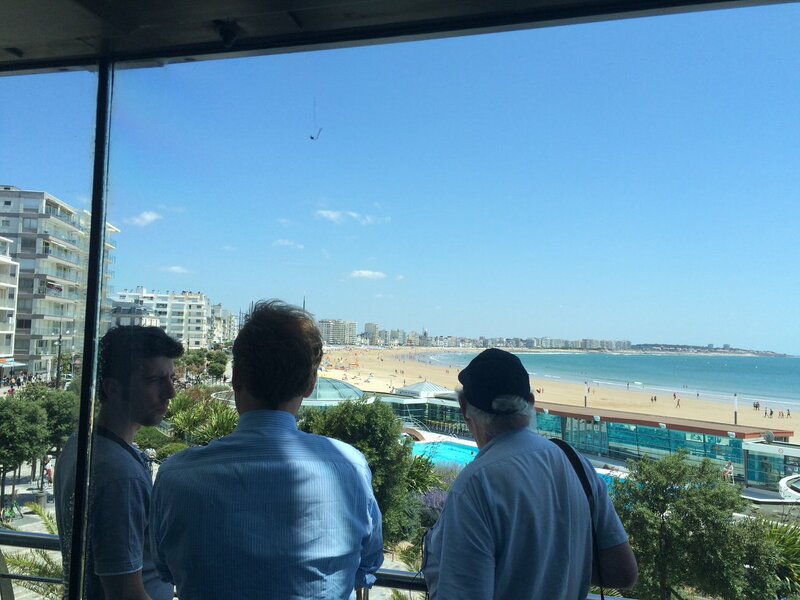 Upon arrival in Les Sables D’Olonne, we held a meeting in a room with a fantastic view of the beach. 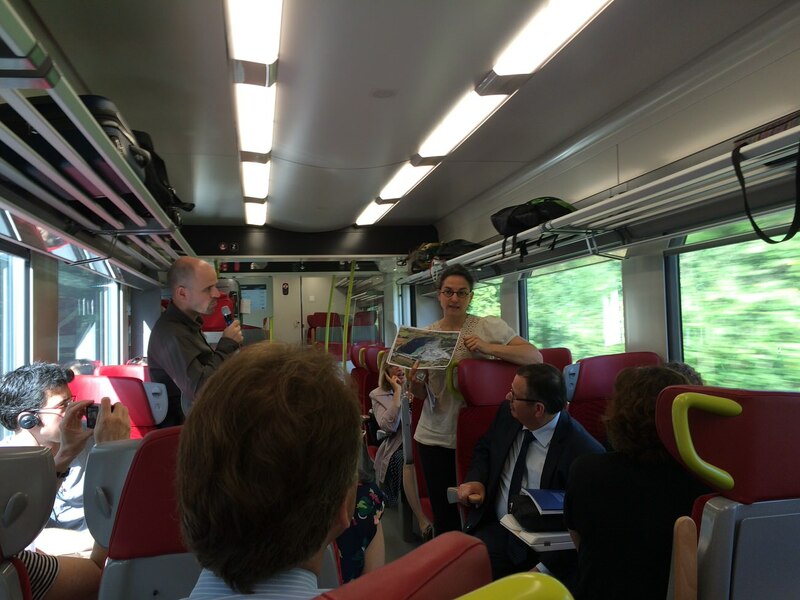 Partners from each country gave updates on their projects, and the group discussed research by Région Pays de la Loire about how to encourage more schools to undertake class trips by train.